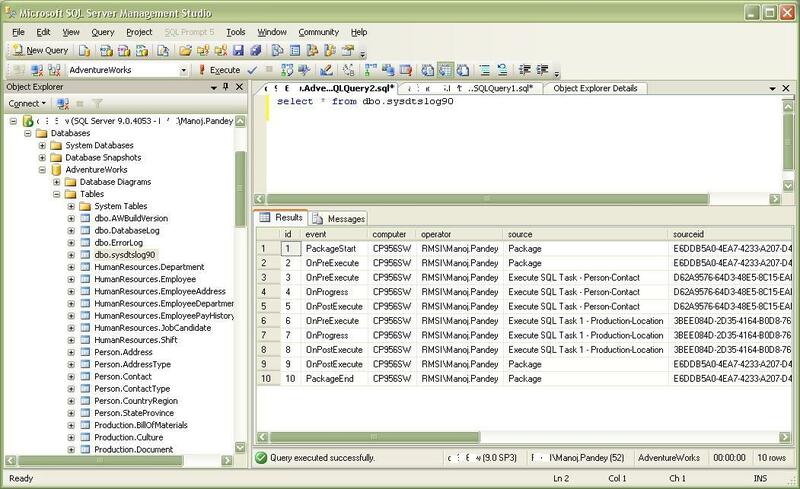 As per MS BOL SSIS provides a diverse set of log providers, and gives you the ability to create custom log providers. The Integration Services log providers can write log entries to text files, SQL Server Profiler, SQL Server, Windows Event Log, or XML files. 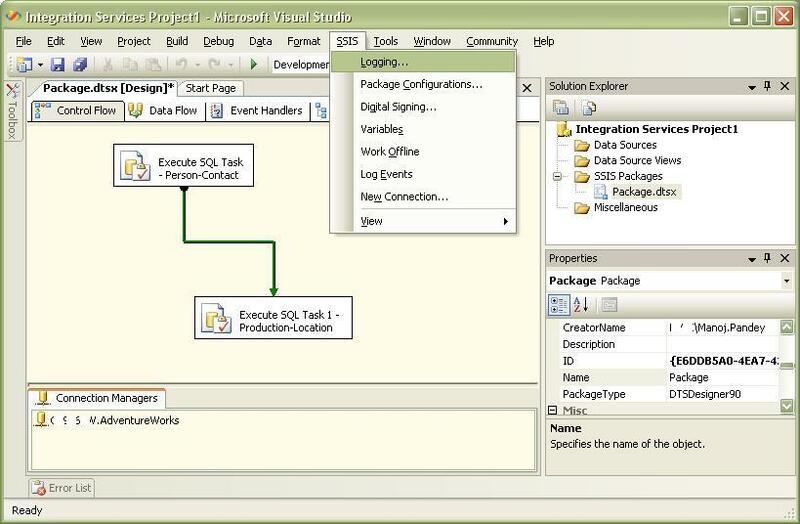 This help in implementing logging in SSIS packages. With logging you can capture run-time information about a package, helping you audit and troubleshoot a package every time it is run. Here we will see how can we use the SQL Server log provider (#3 above), which writes log entries to the sysssislog table in a SQL Server database. 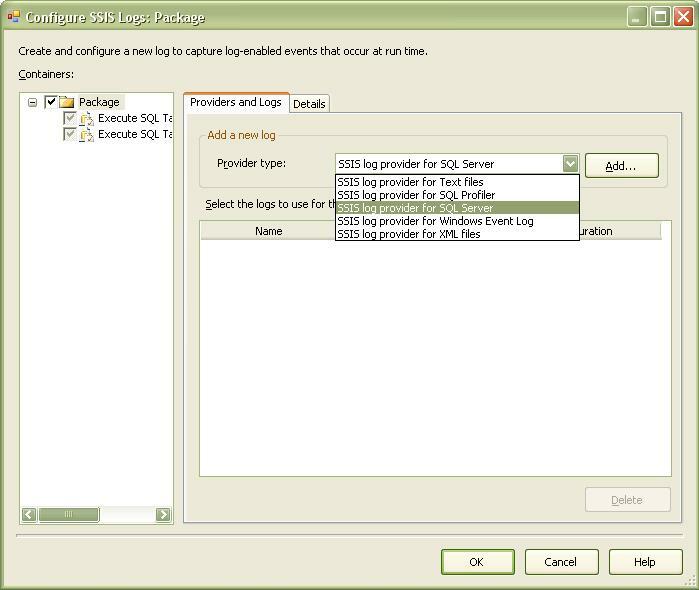 Please note in 2005 the logs are stored in sysdtslog90 table. In 2008 the table name is changed to sysssislog. 2. 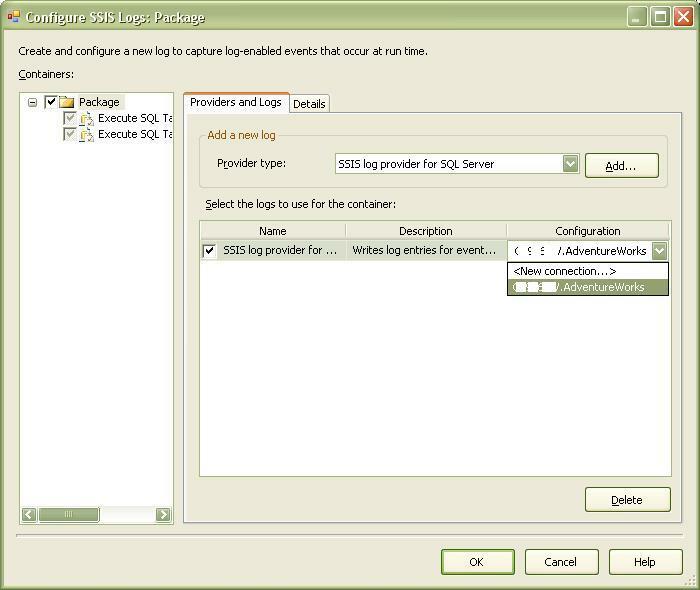 On this new window select the Provider Type as “SSIS log provider for SQL Server”, click Add. 3. The log provider will be added, select by checking the check box. Now provide the connection where the log table should get created. 4. Switch to the Details tab and select the events you want to log and audit. Click OK, save your SSIS package and your logging is enabled. 5. 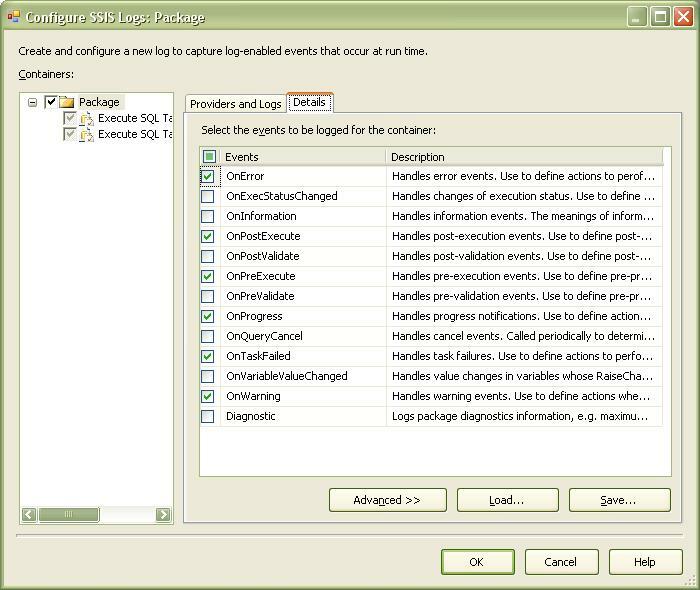 After this run your package and switch to SSMS and check on object explorer that the table sysdtslog90 has been created on the database you added as a connection. Now you can query the sysdtslog90 table where the logs are stored. The sysdtslog90 table contains following columns listed in the query below. All are self explanatory, one can also check the links at the end of the post to get more info about them. “component “Flat File Destination” (16)” wrote 609 rows.